Here's three beginner friendly smoothies that will keep you coming back for more! For me, the awesomeness of smoothies lies in the fact that you can blend up a few raw veggies, a fruit or two, some seeds and some liquid and you'll have a proper nutritious meal ready. + The fact that you never would've eaten this mix of nutritious raw greens if it wasn't for this great thing we call smoothies! Green smoothies (meaning smoothies with lots of greens and veggies and less fruit) are something you have to ease into. 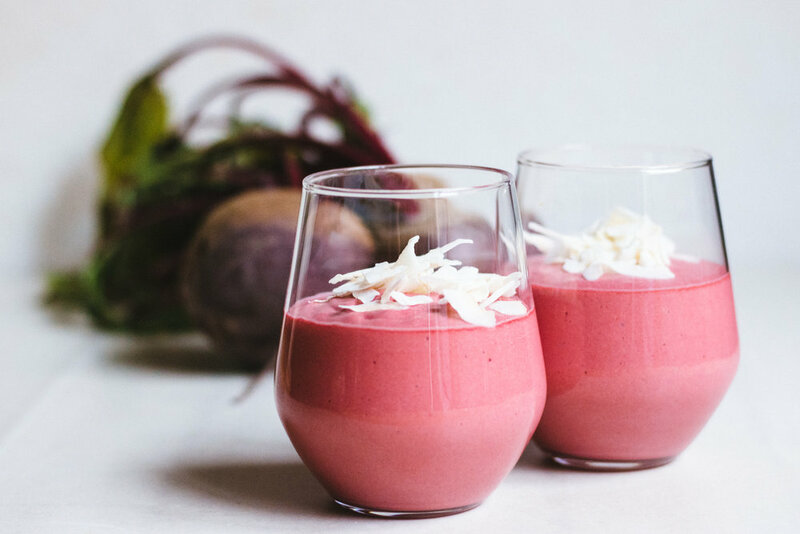 I've created 3 easy recipes that will make you fall in love with the smoothie lifestyle! Here's one of my favorite smoothies of all times! 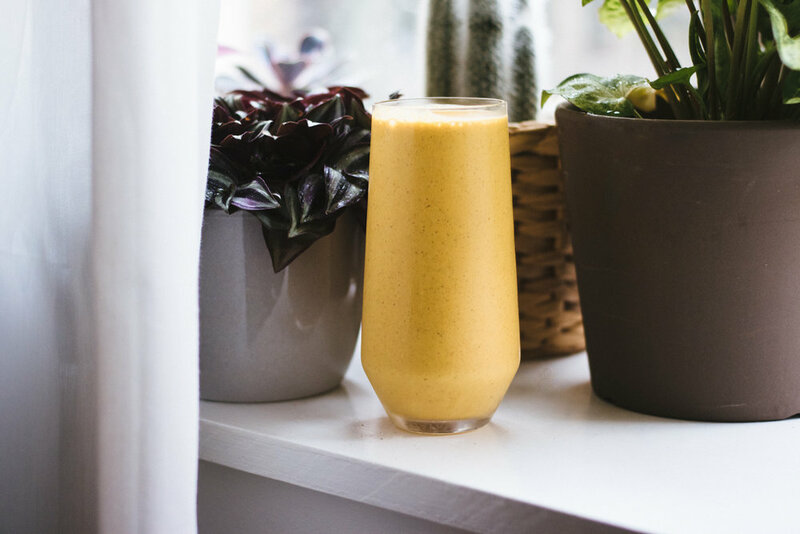 A super yummy anti-inflammatory smoothie packed with all that golden-milky-good stuff! Time: 10 minutes. Yields: 2 generous servings. Sweden’s most underrated season is upon us! The apple harvest is about to begin. Swedish apples are famous for being some of the best in the world! Creativity and to try new things is extremely important for me and also a way for me too not get bored and to maintain a healthy lifestyle. In a high-speed blender, blend all ingredients for the apple smoothie. Use a food possessor to mix together the ingredients for the apple cinnamon swirl. 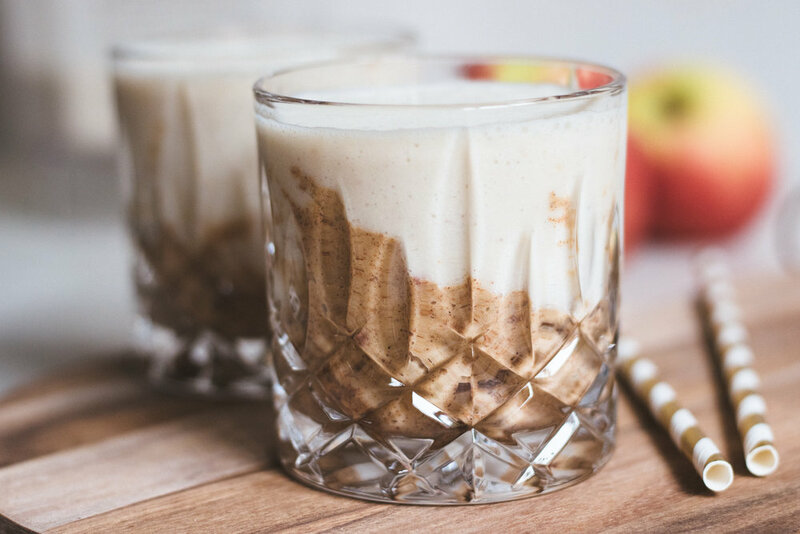 Using a spoon layer some apple-cinnamon swirl on the bottom of your glasses then pour the apple smoothie on top. Top with garnishes if you want and enjoy! Apple pie with vanilla sauce has always been one of my favorite desserts. My mother and grandma always used to make it whenever the whole family got together or whenever we had guests. The combination of the slightly sweet and acidic apples with the warming spices of cinnamon, ginger and nutmeg takes me right back to my childhood. :) It's interesting how important tastes and flavors are to our memories. This is a fairly healthy option to a quick treat that you can make yourself or your kids! It's very simple to make and it has all the yummy flavors of a freshly baked apple pie! What we choose to nourish our bodies with plays a huge role in how we feel. I have found that I feel so much better in avoiding fruit and sugar every day. For me it's never about banning foods or putting unrealistic standards on myself. 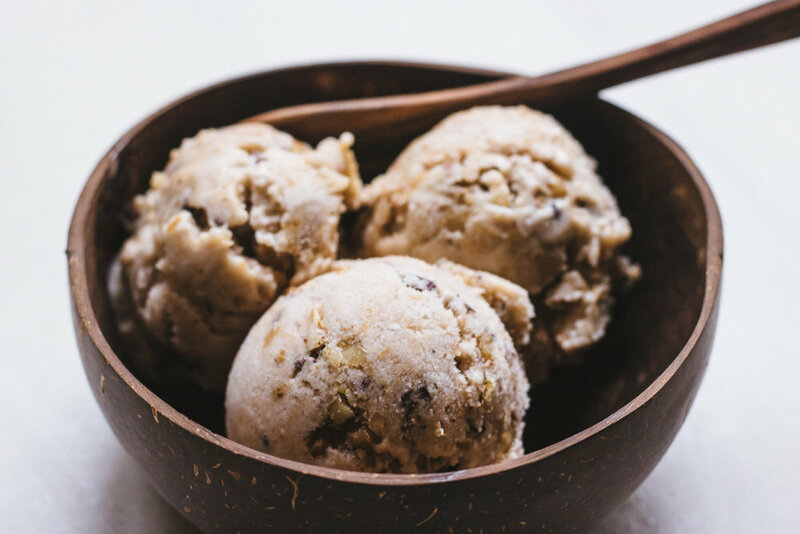 It's just about becoming more conscious and in tune with what makes me feel more energetic and peaceful both mentally and physically..
Nana ice cream with 5 simple ingredients, a quick option to homemade ice cream! It's crazy good with chunky walnuts, cacao nibs and a heavenly caramel sauce! The prep needed in this recipe is to peel and freeze 4 bananas. Break them into chunks, preferably. Prepare the caramel sauce by combining the ingredients in a smaller cup. Make the ice cream by adding the frozen banana chunks to a food processor and process until you have a smooth banana ice cream. Move the ice cream to a bigger bowl and add the chopped walnuts, cacao nibs and caramel sauce. Use a spoon to make some swirls and combine everything without blending it all together too much. Scoop and serve immediately. If you want it extra firm, let the bowl sit in the freezer for 30 minutes or longer before serving. Fluffy banana ice cream + cacao nibs + roughly chopped walnuts + caramel sauce = Drooling yet? If you want the ice cream more firm and less like soft serve just let it sit in the freezer for 30 minutes before serving!